A strong headline and visual with clear, benefit-oriented copy = great impact. 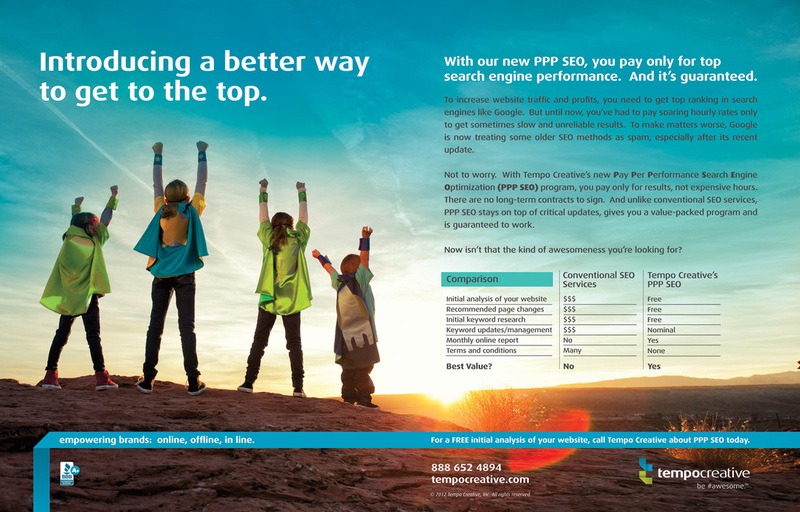 Tempo Creative, a digital marketing agency in Phoenix, needed an effective way to introduce and sell a complex subject to area business owners -- Its new Pay Per Performance Search Engine Optimization program. Writing Answers wrote this strong headline and clear, benefit-oriented copy, while recommending the use of one of Tempo Creative's already owned website images. The result? A cost-effective ad with great impact and consistent brand messaging. A big idea doesn't have to be complicated. But it does have to sell. Pactiv wanted a B2B print campaign to promote its Hefty Slide-Rite® closures as an innovative way for product manufacturers, such as Scotts Miracle-Gro and Green Giant, to build add-on sales. Writing Answers created this award-winning campaign that delivered the right sales results and provided a framework from which virtually any Pactiv client could be showcased, giving the campaign both PR potential and ongoing sales opportunities. The "9 out of 10 Bacteria Prefer Thelco Incubators" ad concept proves there's no such thing as a boring product. As long as the copywriter isn't. Writing Answers' big idea, coupled with nine lovable cartoon characters, gave Thelco a warm and fuzzy identity, won numerous awards and took the brand to new heights of awareness and sales. The right intel allows for the big idea that sells. 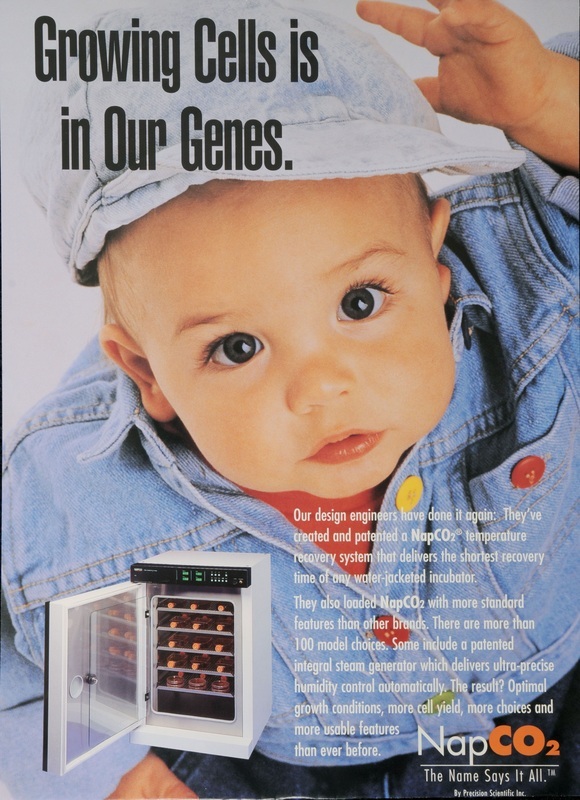 Demonstrating how studying the product and its market allowed for the big idea to be created, Writing Answers' "Growing Cells is in Our Genes" ad capitalized on Precision's long history of manufacturing quality scientific instruments. The ad turned this fact into a key benefit and was effective in doubling sales.